Dr. Leena Johns, MD is Vice President, Medical Director Global Healthcare at MetLife and also the Head of Health and Wellness at MAXIS (a joint venture company with AXA). She joined MetLife in February 2014. Her particular area of interest is health data analytics and works with Multinational clients, as well as local operations to perform claims data analytics to derive cost drivers, trends and areas of greatest financial changes. She works with the various stakeholders to identify the areas to focus from a management perspective, recommending changes and modifications to policy terms and conditions as well as network regulations to mitigate the trends observed in the analytics. She is also responsible for developing and implementing health and wellness strategies globally. Dr. Leena has spent much of her career working in the Middle East and USA, and she has extensive experience in dealing with the global medical claims data. Prior to joining the corporate world, Dr. Leena worked as an ER physician in both private as well as mission hospitals in the UAE and in India. Dr. Leena speaks 4 different languages. She holds an MD degree and currently resides in Princeton, New Jersey, USA with her family. 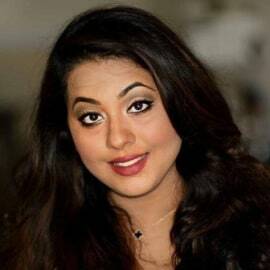 She is also a television presenter for a U.S. based Asian network presenting a show on health and current affairs and is a magazine columnist writing on health and wellness.